Ginger is allergic to cats. So ending up at school with a cat in a schoolbag is never going to be a signal of a good week. Threatened with having to change schools, told she doesn’t fit in with her family, ruining the best day of school for everyone, and sneezing from her allergies amidst it all, Ginger is having the worst week ever. Ginger must try to solve all these problems before life can go on as normal. The cast of characters – family members, friends, school teachers, and an evil Vice Principal – are like a constant reel of slapstick comedy. Incident after incident, over-reactions, twists and turns – it’s all here. In usual Gleitzman style, there are deeper underlying issues behind the hilarity, this time being a girl feeling worried and like she doesn’t fit in anywhere. Her parents are always too busy for her, her teachers are out to get her, and she just doesn’t belong. 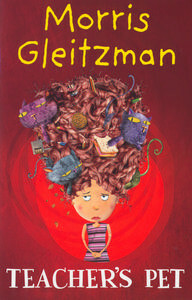 Another example of Gleitzman’s real talent in writing honest stories that hit home with kids.